Very happy with purchase! Goes well with rustic decor.. Excellent color. Quality is exceptionally well designed. Fully assembled. It is exactlly what i was looking for. Could not beat the excellent price any where else. Solid Living by Liberty is a line of solid wood furniture that has a sense of history yet feels fresh and today. Good design requires paying attention to the details. Highlights include: Contrasting English dovetail drawer fronts, cedar lined bottom drawer, smooth full extension drawer guides. I just received this set. Great quality and a great price. Solid wood. Dovetail drawer construction. The finish is so smooth. It is a perfect fit for my rustic mountain house. Well-made, and sits at the perfect height alongside the matching bed. The drawers open smoothly and the inside lining is nice. The color is a little darker in person than online. Assembly was easy with just screwing on the four feet out of the box. Love these -- also got the matching bed frame. Top drawer is lined for the nicer things! 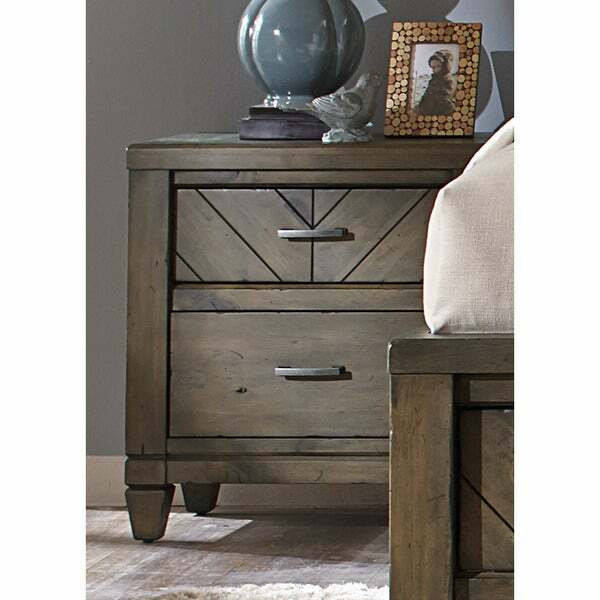 I really like this night stand. i bought the dresser and the bed frame for a queen size bed. I got them all in and I really like the overall look which is a really defined wood look. 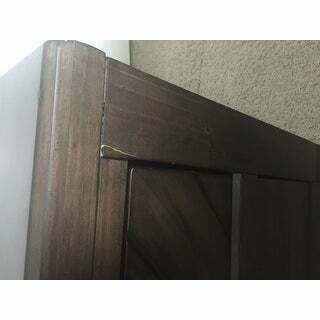 there are marks on the furniture but that is part of the rustic look. This nightstand has a high build quality and came fully assembled. The design is beautiful and I have received numerous compliments. I plan on purchasing an additional nightstand in the future. Bought the bed, two night stands, dresser, and mirror. Love it! Very good quality. A bit darker than pictured but I expected that bc of previous reviews.